This headbow was worn only once so is still in great condition. 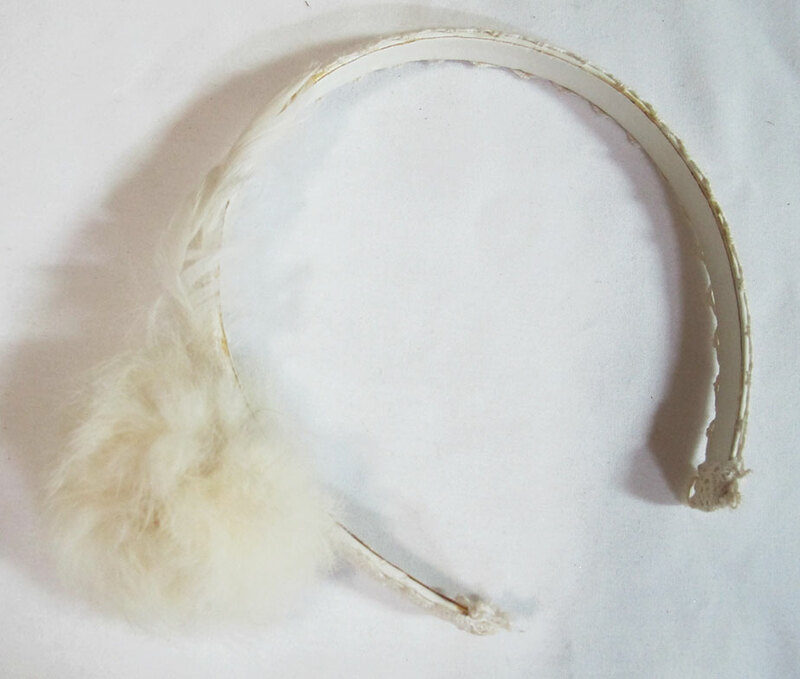 With cute little golden rose and delicate feathers, this headbow certainly has an angelic feel, and will make a very lovely addition to your outfit! This item has been worn several times but is in good used condition. The lace may be slightly yellowed, but it always had an antique kind of look. 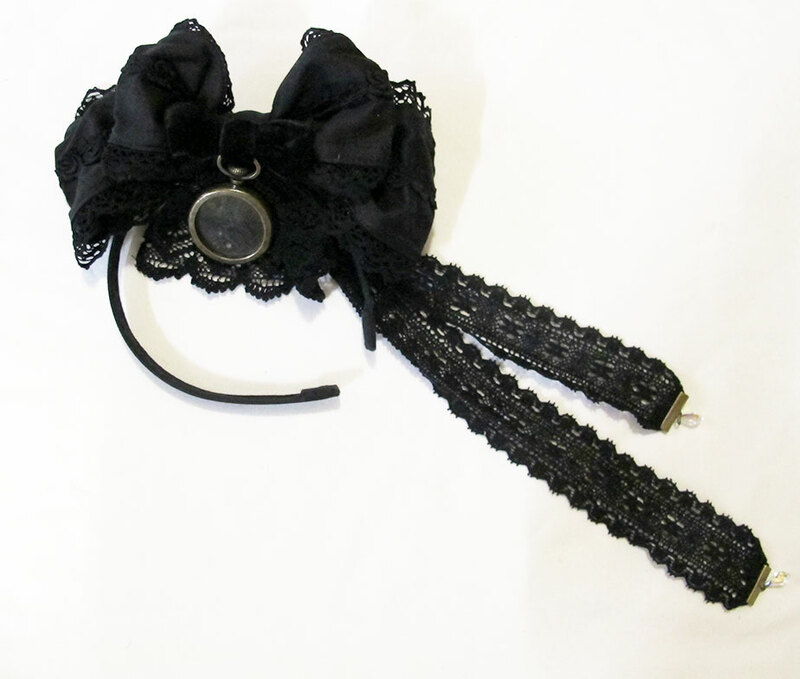 This headbow was part of H. Naoto’s GRAMM line, and it would look really good with mori girl and otome styles as well. This is brand new and unused. 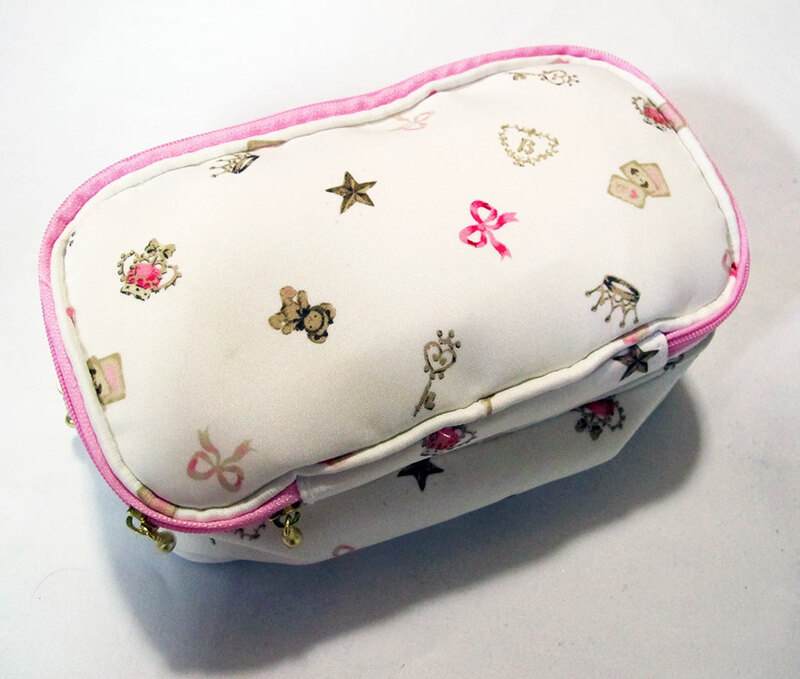 Lovely double sided pouch good for keeping your makeup and accessories organzied. This is brand new and unused. 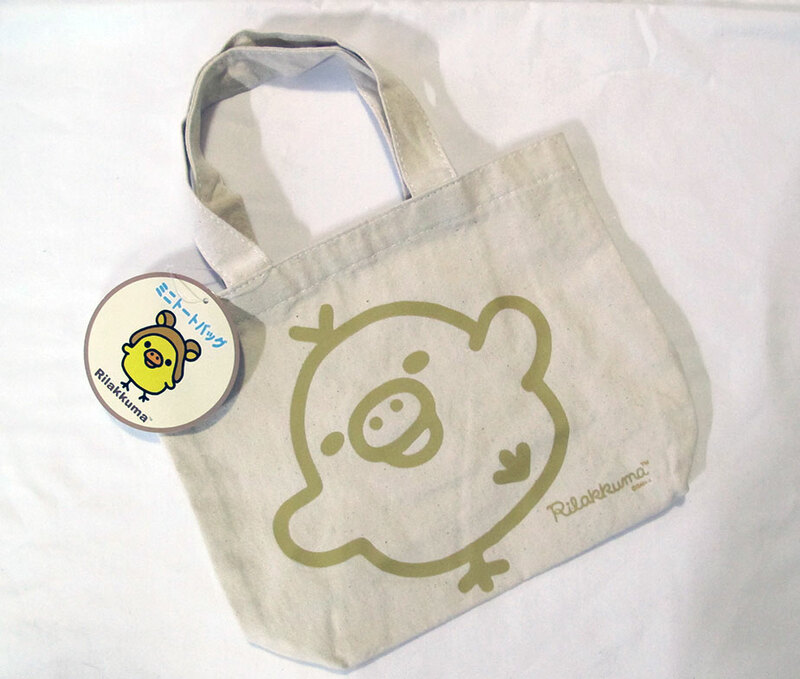 The tote features SanX’s character Kiiroitori. This would be perfect for taking your lunch to work or school, etc. This is brand new and unused. 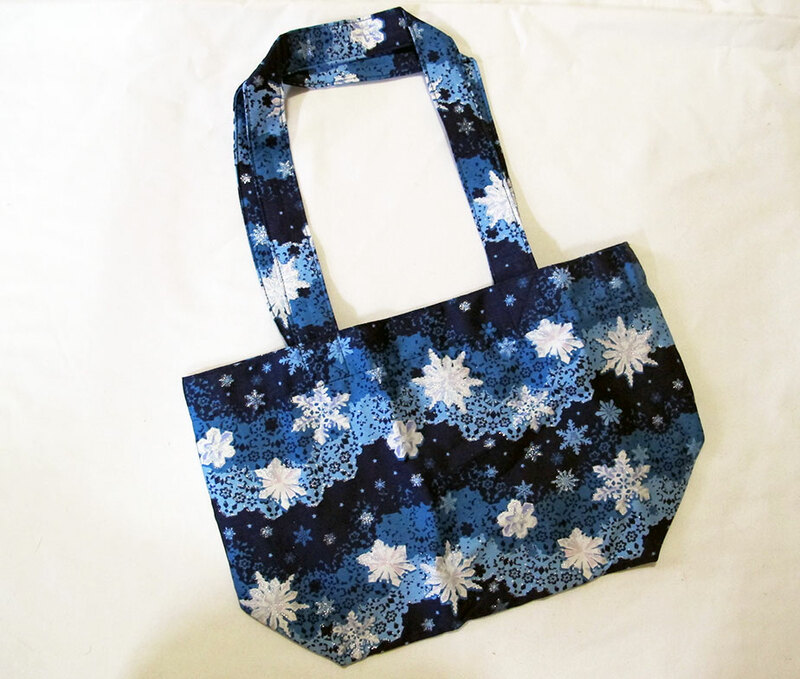 It was a novelty item and is made from Angelic Pretty orginal print fabric from the Sugar Dream Dome series. This is brand new and unused. Cute zip pouch to organized your purse, accessorsies, or make up stand. 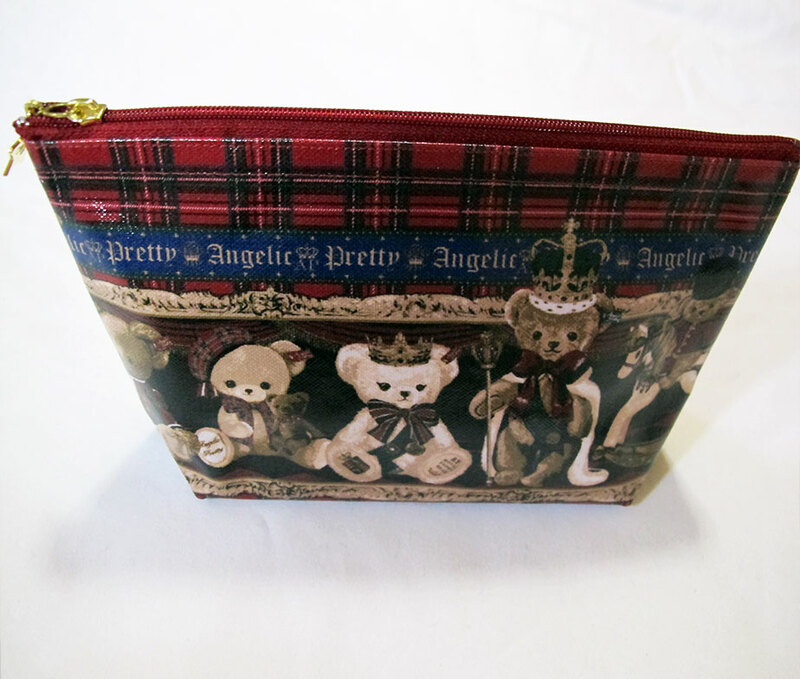 Features the Angelic Pretty British Bear print. This is brand new and unworn. 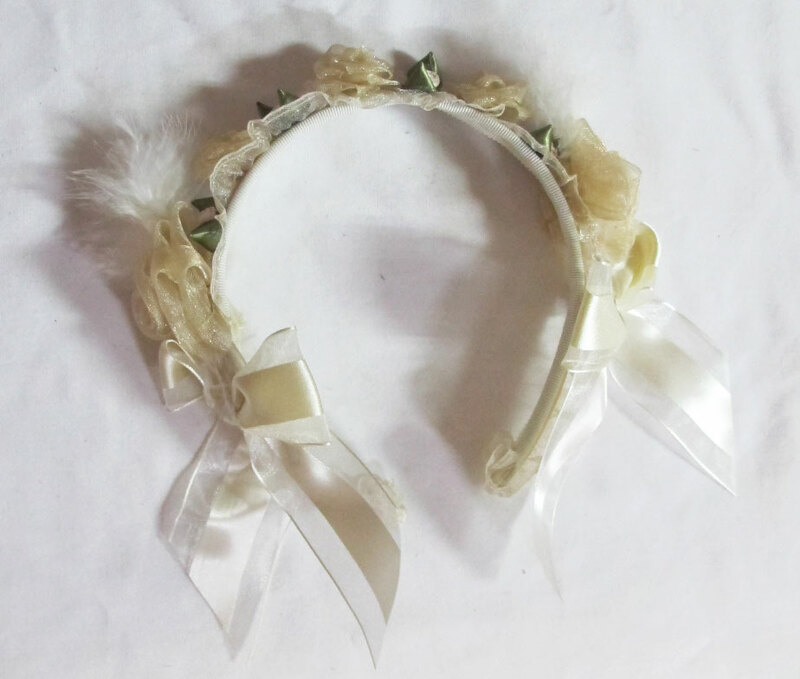 The headbow has lots of cool details like the big clock charm and the little crystals at the ends of the lace ribbons. It’s black and easy to match with lots of outfits! This wig is brand new and unused, never removed from its package. This is a full wig, meaning it will cover your natural hair completely for a completely new look/style and color instantly. The wig is shoulder length with a bit of curl, and is perfect both dressing up for special occasions and day to day wear. The third picture shows how the wig looks worn on a model. You will get the color wig that is squared in the fouth photo. This wig is brand new and unused, never removed from its package. 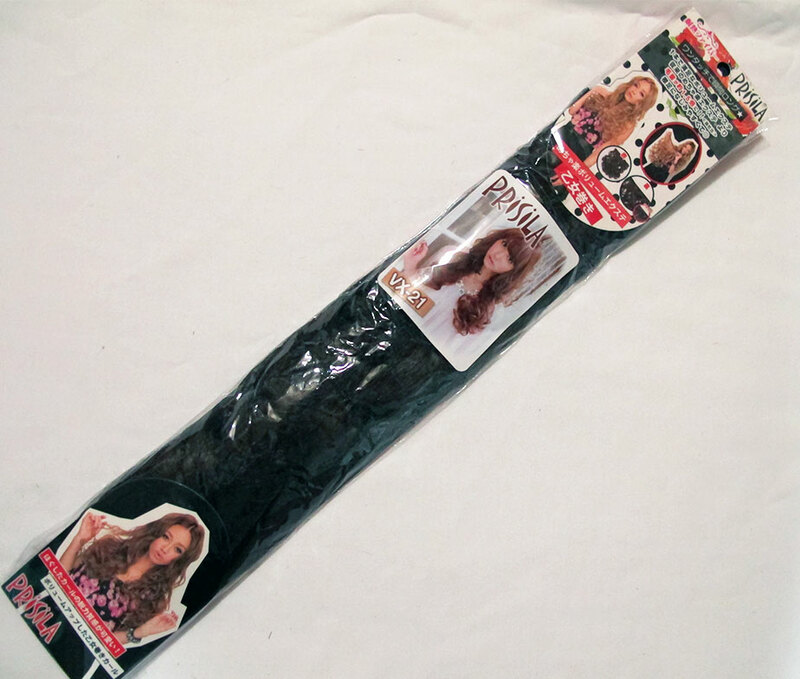 The wig is cliped under your own hair to give you instantly longer, curly hair, and without having to wear a full wig. Picture three of the model is how the wig looks when worn. 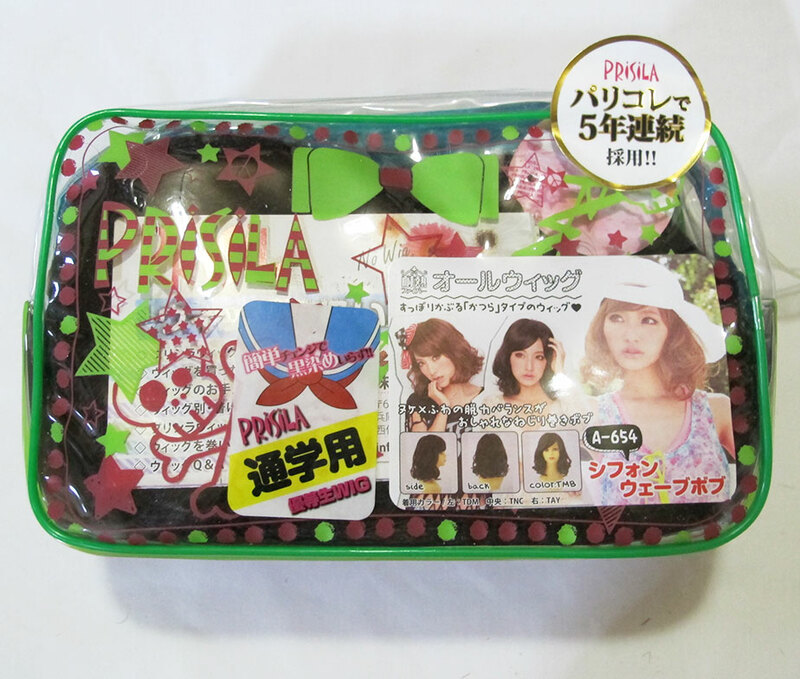 The color of the wig you will receive is squared in red in the fifth photo. This wig is brand new and unused, never removed from its package. The wig is added on to your own hair so you can instantly have a long, full, curly pony tail that can be styled to your liking. Picture three of the model is one example how the wig can be styled (you will not get this color wig). 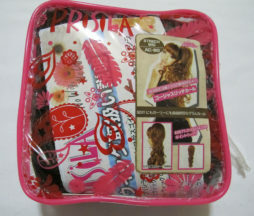 The color of the wig you will receive is squared in red in the fourth photo. This wig is brand new and unused, never removed from its package. The wig is added on to your own hair so you can instantly have a long, full, straight pony tail that can also be styled to your liking. Wig color is squared in red in the fourth photo. This is brand new and unworn. 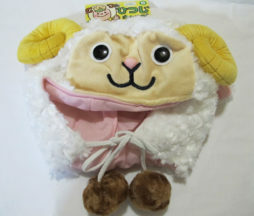 It is a kinda random and goofy item, but it’s also super cute!